All stations on the Lyublinsko–Dmitrovskaya (aka Lime) Line were opened after the Soviet fall. Despite the lack of traditional Soviet ornamentation, its decor impresses visitors anyway. 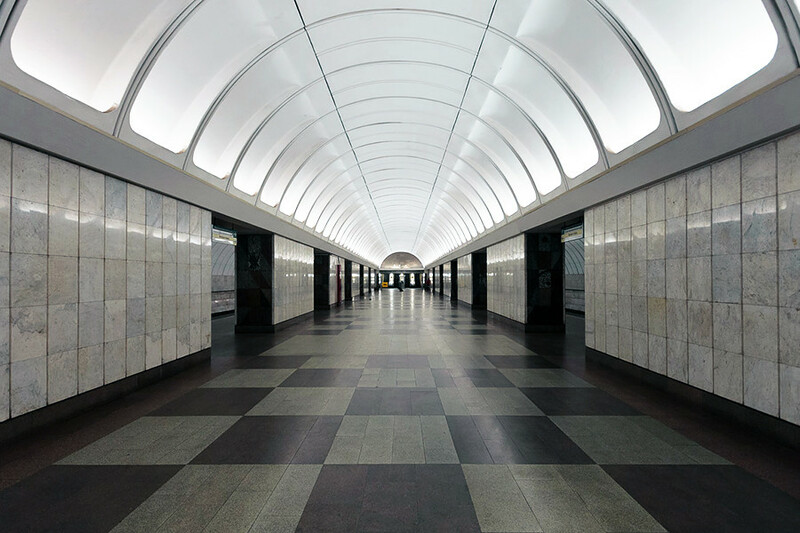 For centuries, Moscow’s Maryina Roshcha district, where the eponymous Metro station is located, belonged to the wealthy and influential noble Sheremetev family. No surprise, then, that the station’s decor was dedicated to these aristocrats. On the walls one can see colorful images of the Sheremetevs’ possessions: estates, churches, forests and rivers. 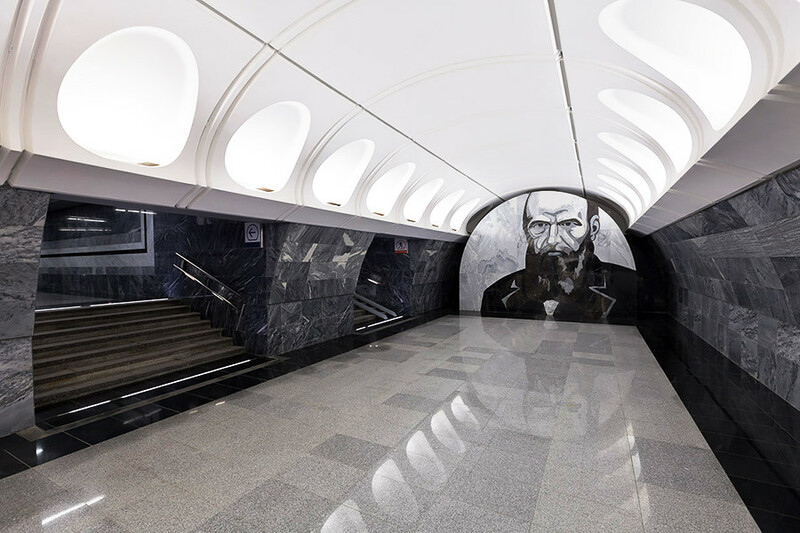 This Metro station cannot fail to leave admirers of the great Russian writer awestruck. Dedicated to Fyodor Dostoyevsky, the station is located not far from the house where he was born. It is decorated with images and motifs from four of the writer’s novels: Crime and Punishment, The Idiot, Demons, and The Brothers Karamazov. 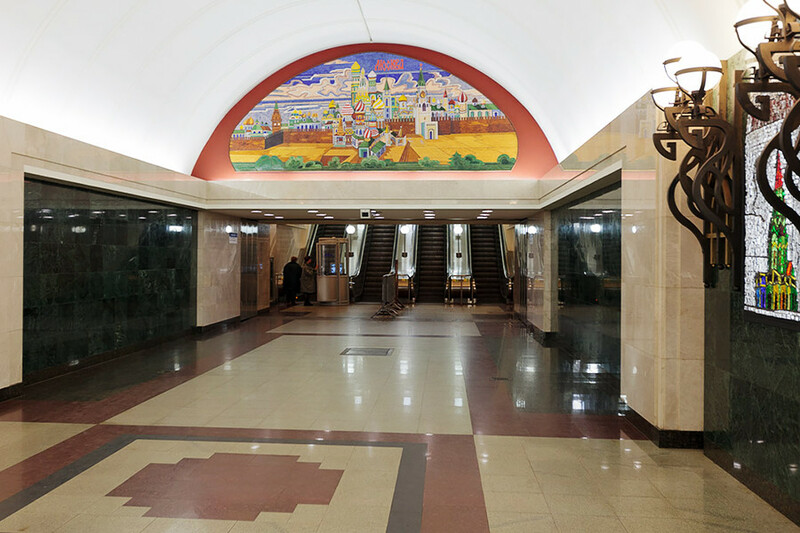 The station is decorated with illuminated stained glass mosaics with images of ancient Russian cities and villages. When the station was opened, passengers were surprised not to see crosses on the images of churches. Some enthusiasts added their own small wooden and metallic crosses to the images, which the authorities didn’t object to. On the columns inside the station one can admire images of Moscow’s people and streets, as well as monuments to Russian writers and poets with phrases from their works in Russian. 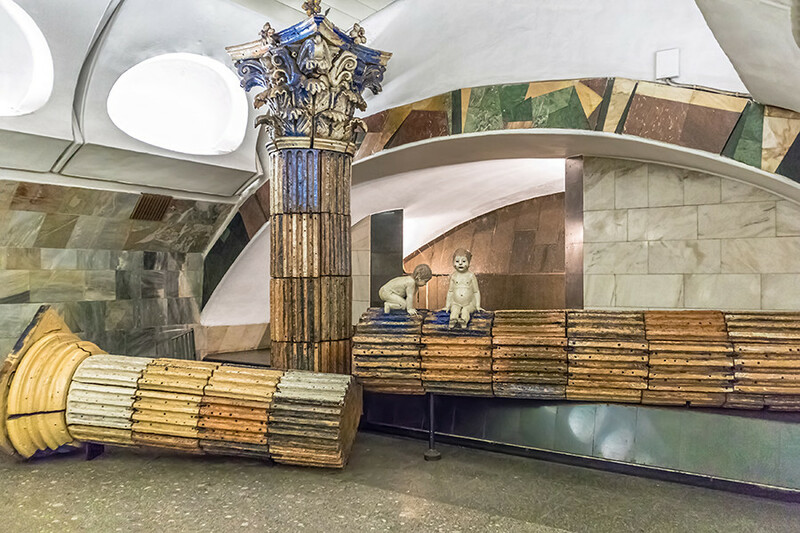 Dedicated to Ancient Rome, Rimskaya (“Roman”) Metro station was jointly decorated by Russian and Italian designers and artists. At the end of the platform is a composition of several columns, among which the babies Romulus and Remus are crawling. Right behind this composition one can find a real fountain, the only one in the Moscow Metro. Several bas-reliefs can be seen above the entrances to the escalators and platform: the Madonna Litta, the Capitoline Wolf and an ancient marble mask – a twin copy of the one from Rome’s Basilica of Santa Maria in Cosmedin. 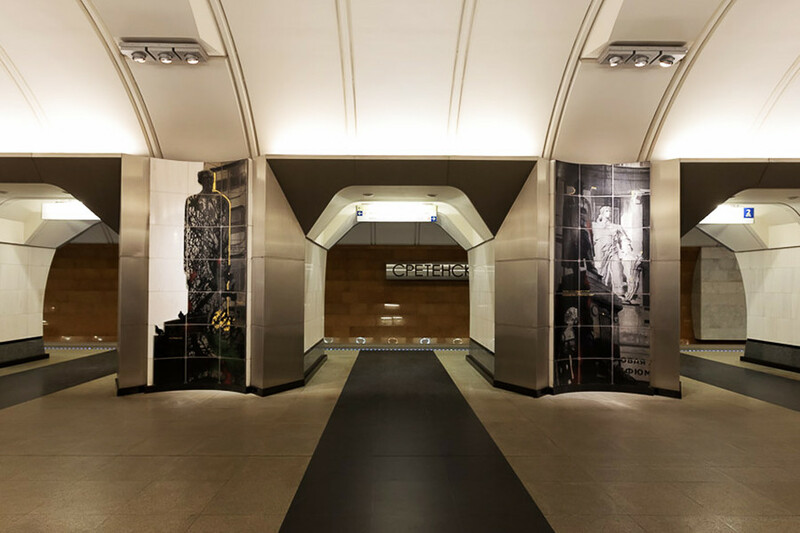 The presence of Ancient Rome can be felt at this Metro station as well – the images on the walls here were made in the Roman mosaic style. Still, the main decorative theme of Krestyanskaya Zastava (“Peasant Outpost”) is dedicated not to the “Eternal City,” but to peasant labor: one can see braids, rakes and sheaves in the mosaics. 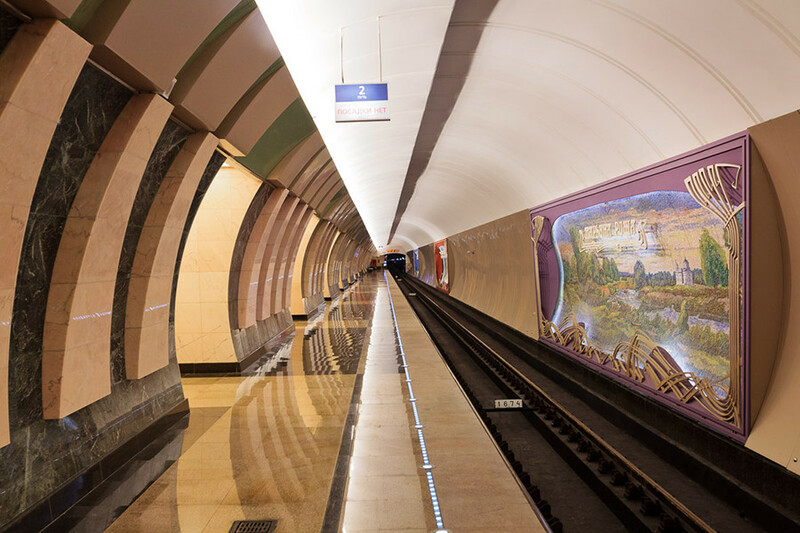 Do you know which Metro station is considered Russia’s most beautiful? Find out here.